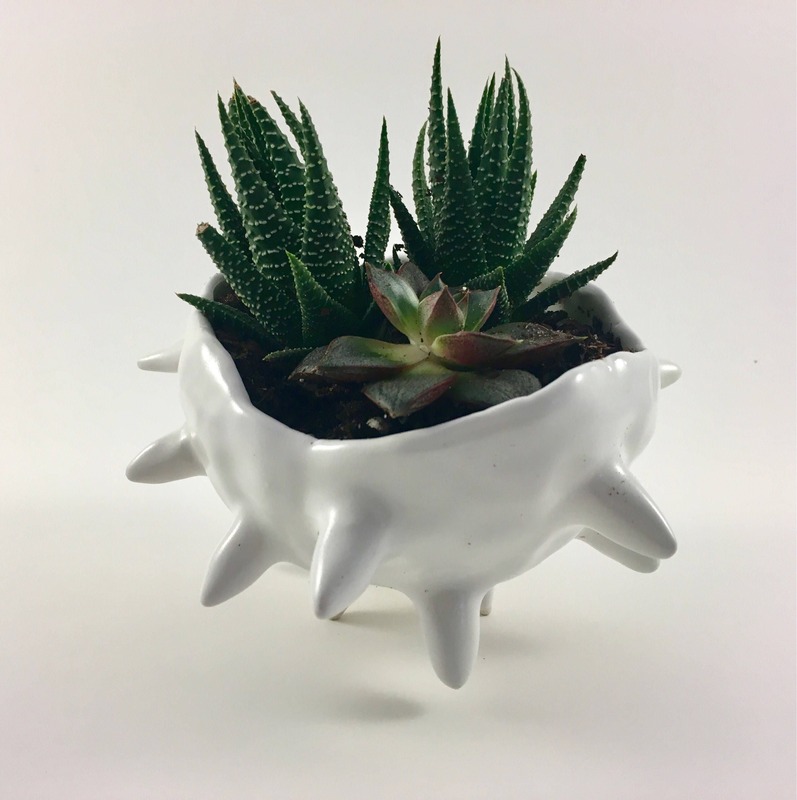 Sea urchin succulent, cactus planter or flower pot to add natural vibes to your home or garden. Entirely handmade without use of potters wheel or any moulds. She is so unique if you buy one you will be the only one who has it in the world as not one is exactly the same as another. With it's minimalist look this one of a kind piece is great for any garden decor. 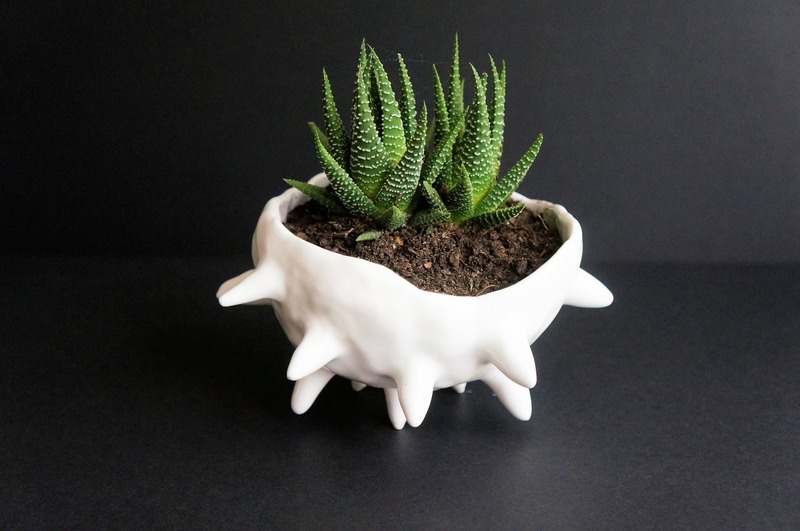 Guaranteed to impress gift item for any plant lover. 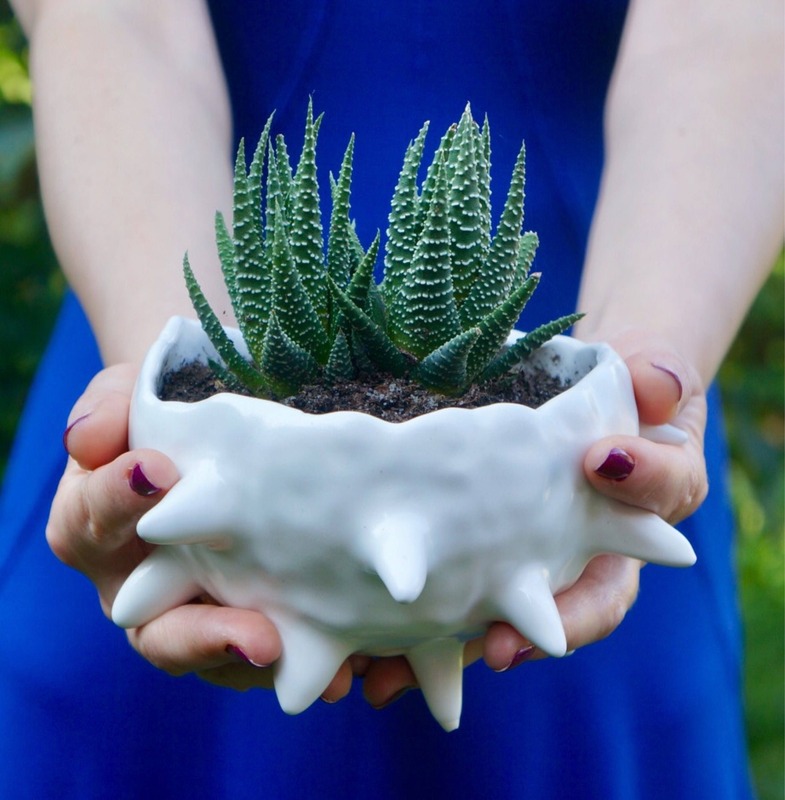 Every spike is formed by hand and added randomly to the body one by one and finished with satin white non toxic glazes. 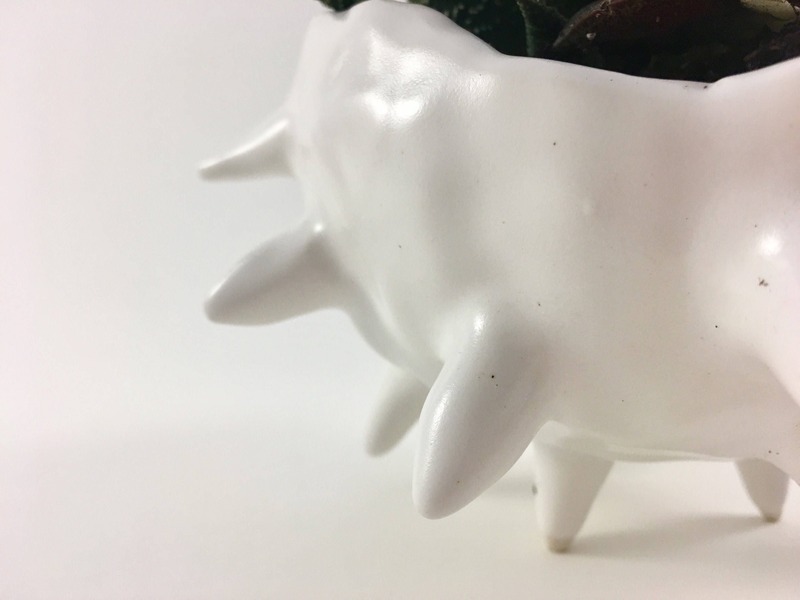 I love my spiky planter! Abby was quick to respond to my messages and was so helpful. She sent me a little extra gift which is keeping my succulents company. Thanks again! 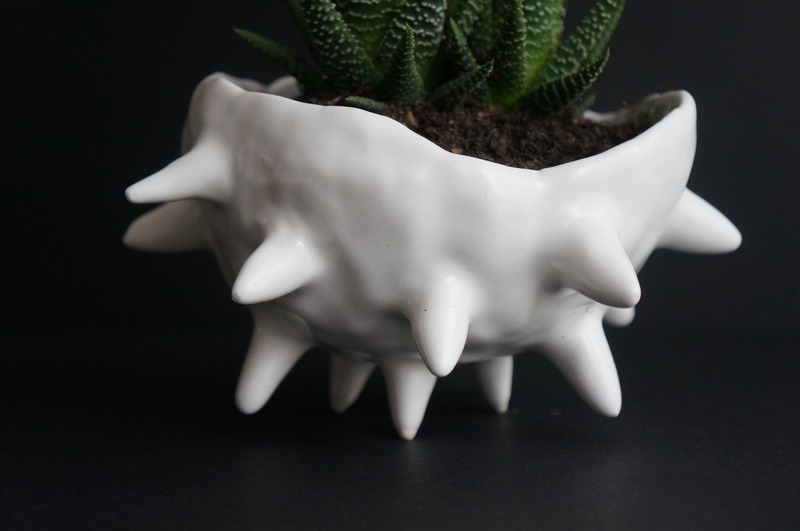 Great planter-perfect for succulents. Love it !! I love this planter! So unique. 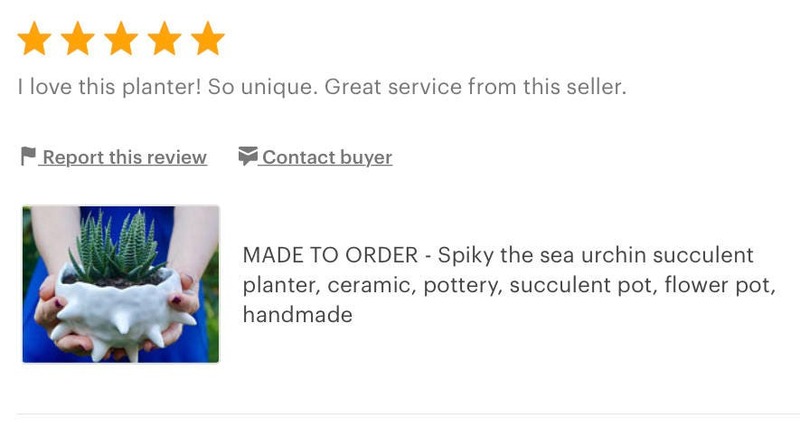 Great service from this seller.